Tonight somewhere bells will ring, horns will blast, people will cheer and a new dawn will break!!! We will be collectively handed a blank page to start again. Already my husband and I are tentatively blocking parts of the new year into segments of who is going to be home and when, as far as the kids are concerned and who has to be away and when, as far as we are concerned and finally when can we take a few weeks for a holiday. It's so wonderful to have options and time to "spend." Time to think and dream and write - all of which are free!!! Time to walk and talk and OK clean - again all of this is free, unless the vacuum breaks down. Time to challenge and discover and practise and perhaps preach :) again this can all be free. I plan to try through my 365 day blog/photo challenge to revisit words I haven't used in years, find some new words, that I have never used and generally hone the linguistic brain. I also plan through the photo part of the challenge to try to do something everyday that "scares" me. I know that I won't do it everyday - but even a few days here and there moves me forward. As I have said before, I am a very shy person, so really something scary to me would be very easy for someone else, we all have our comfort levels. Please post any "scary" thing that you do. It will give me ideas!! Well, there's no time to start like the present and a word that I have used from time to time is "tintinnabulation;" it means the ringing of the bells. I first read it in a poem by Edgar Allen Poe and I have never forgotten it. I happened to use it this December at a dinner party. Two of the guests were from Russia and they were looking for ways of expanding their English vocabulary. I was humbled here too - their English was impeccable and my Russian, non-existent. I suggested reading poetry and recommended The Oxford Book of Children's Verse. The poems are classic and not that difficult or obscure as some poetry can be, and the language is rich. Tintinnabulation isn't in there, but I used it as an example of a word that would probably never appear in a novel, however, it is perfect in the poem which is rich in onomatopoeia. 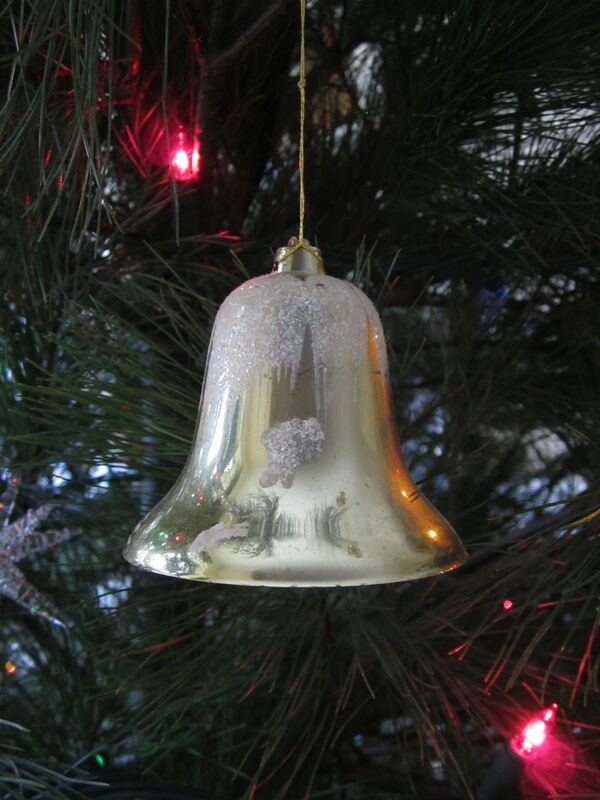 Here is the link to the poem, The Bells. Ring in the perfect New Year !!! To my shame, this is the first time I've read your blog, Carol, and I'm filled with admiration for both your courage and your fresh approach. I'll be back. Thank you so much Gayle. Loved that you visited and posted!! Have a happy new year! !